GRAND CHUTE — A 14-year-old Milwaukee boy died when the car he was driving crashed after police say he was attempting to elude them. Grand Chute officers were attempting to locate a vehicle involved in a reckless driving incident on Sunday, Oct. 23, 2016 that had occurred in Neenah at approximately 11:30 PM. At 11:49 p.m. a Grand Chute Officer observed the vehicle traveling southbound on I-41. Officers later learned the driver was a 14-year old Milwaukee male who had stolen his uncle’s vehicle in Oshkosh. 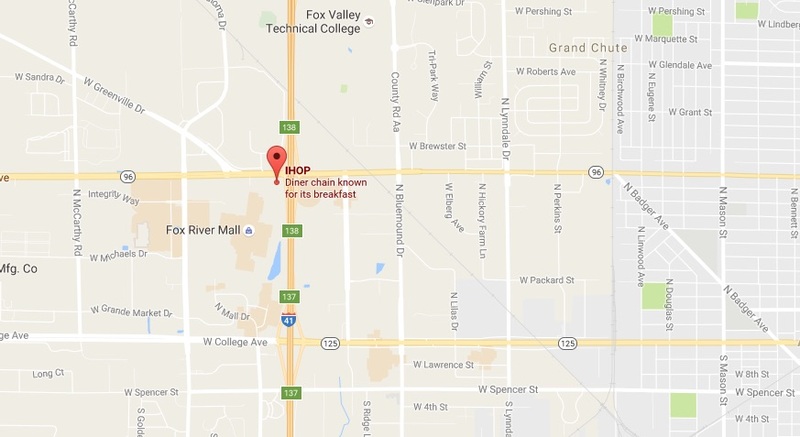 The vehicle had not been entered as stolen when officers attempted to stop the vehicle, according to a Grand Chute Police Department news release. The officer observed the vehicle deviate from its lane of traffic and attempted to initiate a traffic stop on I-41 and Northland Ave. The vehicle accelerated at a high rate of speed and continued southbound on I-41, according to police. The vehicle’s speed was estimated to be approximately 100 mph and the officer discontinued his attempt to stop the vehicle. Though the officer ended the chase, the driver continued southbound and abruptly exited at Wisconsin Ave and crashed into a light pole in the parking lot of IHOP on Wisconsin Ave.
Officers arrived on the scene of the crash and attempted life saving measures on the driver. The driver was air lifted to ThedaCare Regional Medical Center-Neenah where he was later pronounced dead. The investigation is being handled by the Wisconsin State Patrol and is still on going. Anyone with information about the incident is asked to contact the Wisconsin Department of Transportation Division of State Patrol at (920) 929-3700.